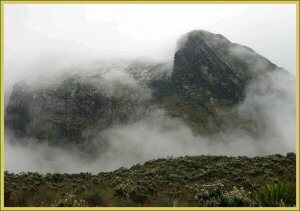 Mountain Rwenzori Park could be a splendid world of ice and snow, with its large ice-rime sculptures and impressive vegetation, and arguably surpasses alternative afro-alpine areas in its beauty, marvel and interest to mountain climbing enthusiasts. This park, covering 996 sq. kms. Provides an impressive surroundings for each knowledgeable climbers and casual day hikers. These legendary mountains exhibit spectacular scenic beauty and supply a singular environment for several rare and autochthonous plants and animals. The highest Mountain within the range, Mt. Stanley, is that the third highest in Africa after Mt. Kilimanjaro and Mt. Kenya. Its highest peak, Margharita, rises 5109 m above water level. The large herbaceous plant and therefore the groundsell are hallmarks of the Rwenzori. All of the above create this park a haunting visitant destination. Decreasing temperature with increasing altitude has resulted in marked partition of vegetation that is of nice interest to scientists and a pleasant expertise for guests. In fact, a lot of individuals visit the Rwenzori to explore and knowledge the fascinating vegetation than to climb the peaks and glaciers.